Students with disabilities are an academically vulnerable group, more likely to drop out and less likely to graduate than their general education classmates. 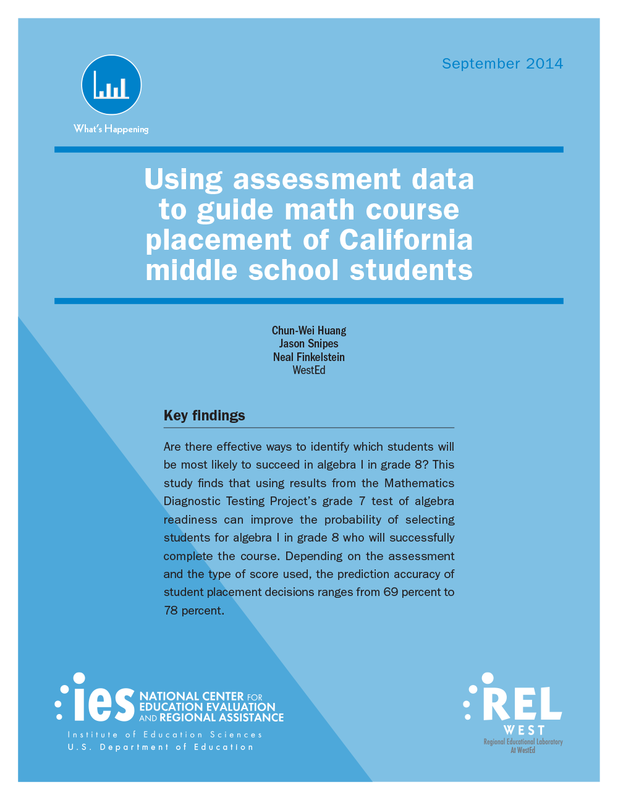 Although research literature recognizes that these students are not a homogeneous group, it offers limited information about how outcomes vary across the 13 disability categories identified by the Individuals with Disabilities Education Act of 2004 (IDEA). 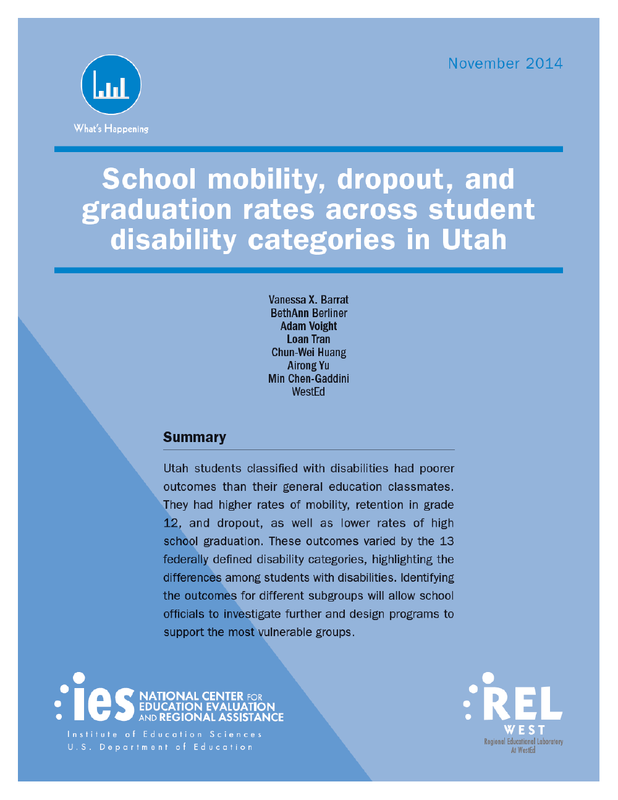 To understand which students are at greatest risk of leaving school without a diploma and who are thus in need of additional interventions, Regional Educational Laboratory West (REL West) researchers examined the rates at which Utah students with different types of disabilities moved to other schools, dropped out, or graduated compared with all students with disabilities and with general education students. 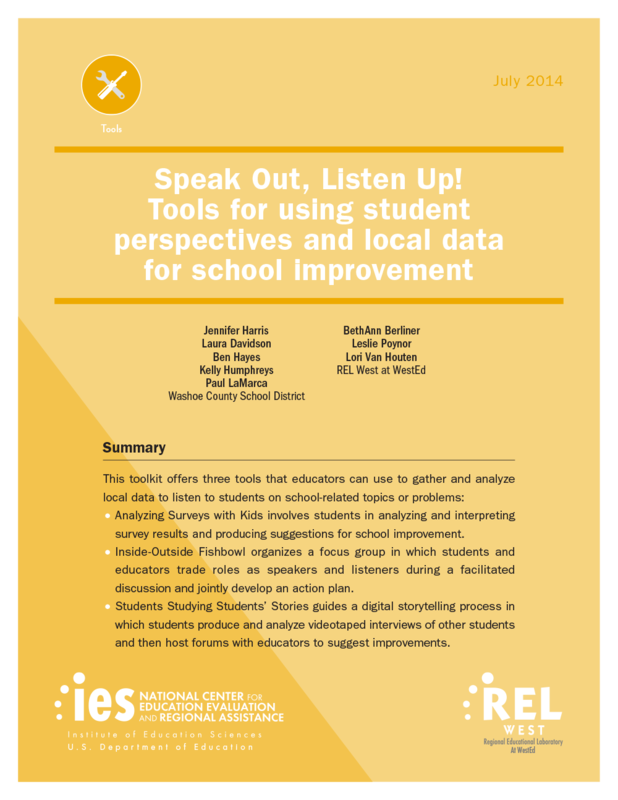 By disaggregating student outcomes by disability category, this study provides educators and policymakers with information on which disability categories include students who are most in need of interventions to keep them in school and on track to receive a high school diploma. 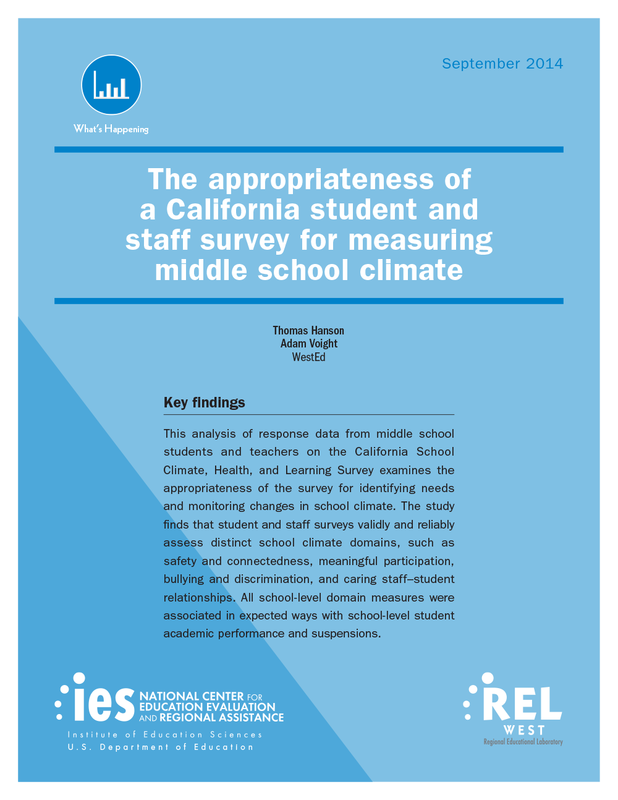 This analysis of response data from students and teachers on the California School Climate, Health, and Learning Survey examines the appropriateness of the survey for identifying needs and monitoring changes in school climate. School Turnaround Workshop ToolkitConduct your own workshop on research-based approaches to turning around low-performing schools.